Am I Too Young For Dentures? Although a lot of people imagine only older people need dentures, they can help younger people, too. Patients in their 30s and 40s may need dentures if they have lost teeth from decay or advanced gum disease. Medical problems, like chronic acid reflux, can also lead to younger patients needing dentures. Some people also lose multiple teeth after a single event, like a serious car accident or sports injury. Whatever the reason you need dentures, it's important to get them so you can restore the health and function of your mouth as well as your confidence in your appearance. If you need to replace missing teeth with dentures, schedule a consultation with a dentist near you in Columbus, OH to get more information on the different types of dentures and which is best for your needs, goals, and budget. If you don't want dentures because you think they're large, fake teeth that fit awkwardly, you will be amazed at how much dentures have improved. Modern equipment and high-quality materials mean that dentures are more attractive. When properly fitted by a board-certified dentist, dentures are very secure in your mouth. Additionally, you have many options with dentures, so you can select the type of custom dentures that are best for your needs and goals. Once you decide to get dentures, you'll face a choice between traditional removable or implant-supported dentures. To replace the top and/or bottom arches of your teeth, removable dentures are the traditional option. This type of dentures is held in place using special dental adhesives and should be removed. 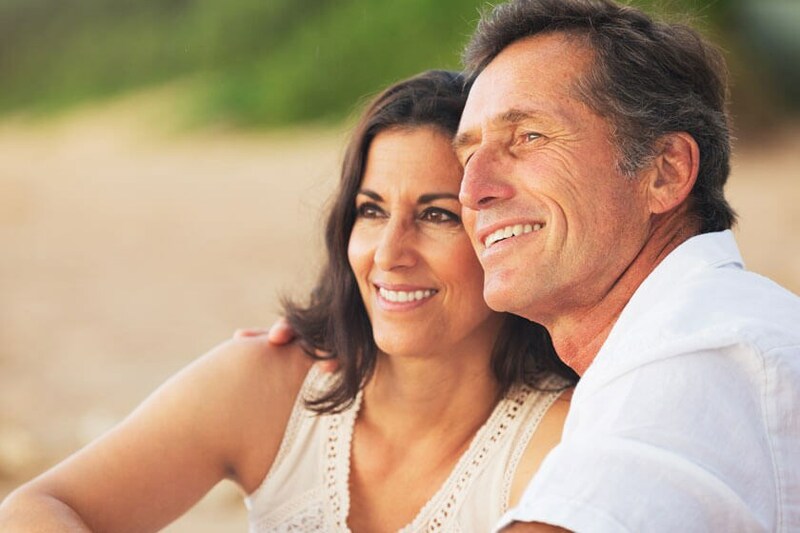 DentalWorks in Columbus, OH offers removable dentures that are custom made in a dental lab from the highest quality materials to fit securely, feel comfortable, and look natural. Removable dentures need to be brushed and flossed at least twice daily, then soaked in water or a cleaning solution while you sleep to keep them from drying out. You may need to be careful what you eat when you're wearing dentures so you don't damage the restoration. Removable dentures may feel weird at first, but with proper fitting and a little practice, you will re-gain your confidence when you eat, speak, and smile. A relatively modern option, custom dentures can be held in place by dental implants so they can stay in day and night. The posts are surgically implanted in strategic points in your gums and jawbone. As soon as your mouth has healed and integrated with the posts, the implants are strong enough to connect to a set of custom dentures. Like removable dentures, implant-supported dentures can be used to replace the top and/or bottom arches, but unlike traditional dentures, implanted dentures do not need soaking, glues, or special care. Implanted dentures are in all the time, so they should be brushed and flossed at least twice a day just like natural teeth. Many younger patients choose implanted dentures since they do not have food restrictions and are easier to care for. Before implant-supported dentures can be considered, your dentist will need to ensure that your gums and jaw are healthy enough to hold the dental implants that will be needed. If you have had removable dentures or missing teeth for a long time, your gums or jaw may have atrophied and become too weak for an implant. In these cases, gum and/or bone augmentation can be recommended to build up the strength of your mouth to hold the implants. In addition to deciding between implant and removable dentures, you can get dentures that are full or partials. Contrary to what many people think, dentures don't need to replace all of you teeth. If asked to think about dentures, most people would probably imagine full removable dentures. Full dentures replace a whole arch of missing teeth. You may need a full denture for your upper arch, lower arch, or both. Since full dentures replace all of your teeth, any remaining natural teeth will need to be extracted. If you still have some of your natural teeth and they are healthy and strong, you may be a better candidate for a partial denture. Like a dental bridge, a partial denture takes advantage of your natural teeth to support the false teeth. Partial dentures at DentalWorks in Columbus, OH are customized to match your natural teeth so your entire smile is natural-looking. WHY WOULD I NEED DENTURES? When you are missing most or all of your teeth, you are a good candidate for dentures. While most people want to make their smile look better, there are several other reasons to get dentures. First, missing teeth make it more difficult for your mouth to perform its major functions — speaking and chewing food. For every tooth that is lost, it becomes harder to talk and chew. Second, missing teeth affect the health of your gums, jaw, and remaining teeth. Gaps created by missing teeth can allow your other teeth to move out of alignment. And when your gums and jawbone are not actively stimulated by a tooth root, they can begin to atrophy. This may lead to oral health problems and make it challenging to place restorations. Third, missing teeth can have a negative impact on your self-esteem and may even be holding you back in your personal or professional life. If you have several missing teeth at any age, dentures can help restore your mouth's look and function. If you're ready to get dentures, it's important to choose a reputable dentist in Columbus, OH with experience and skill in restorations so they look great, fit comfortably, function correctly, and last a long time. If you're interested in learning more about dentures and deciding if it's a good option for you, make a consultative appointment at DentalWorks in Columbus, OH. After listening to your needs and wants, we'll assess your mouth and recommend which type of dentures are right for you. DentalWorks uses high-quality materials and we have every restoration made custom so your dentures are secure, comfortable, and natural-looking.